Wellkhome experience will dive you into the heart of Bordeaux's "chic" lifestyle. Thanks to our spacious short terms apartments furnished with charm and elegance, between modernity and classicism, Wellkhome guarantees you the uttermost comfort. The luxury of a pied-a-terre neatly decorated associated to a high standard quality service. Looking for an unforgettable stay in Bordeaux? WellkHome invites you for your stays, (from 2 nights), in the intimacy of its private elegant townhouse situated in the heart of Bordeaux, in the "Quinconces" district, only a few meters away from the "Allees de Tourny", the "Grand Theatre", the "Jardin Public", the Quais and the "Place Gambetta"with its long pedestrian shopping street. Come to discover 2 new apartments located in the heart of Bordeaux, in the historical Chartrons area and in the famous rue du Palais Gallien. a luxury range of services. Typical french breakfast delivery in your apartment, in complimentary of tea and coffee already offered. 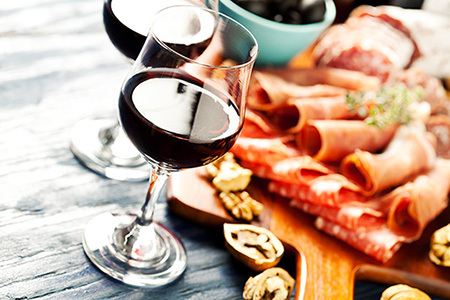 WellkHome will engage you into an unforgettable Bordeaux experience by providing you with a list of local specialties directly delivered in the apartments : Wine, Champagne, assiette of charcuterie and cheese tastings directly set up in the apartments. WellkHome can also organise for you private meetings and cocktail events in the apartments. To be ordered 24h in advance. In order to make your transfer easier, a driver can pick you up at the airport or train station. Our partner has all size of cars/van. Information needed : flight/train number, city of departure, exact arrival time. To pay to the driver directly. 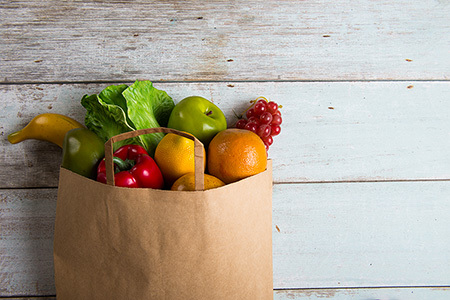 Wellkhome helps you to organise your stay to enjoy south west french gastronomy : restaurants, bars, markets, shops. 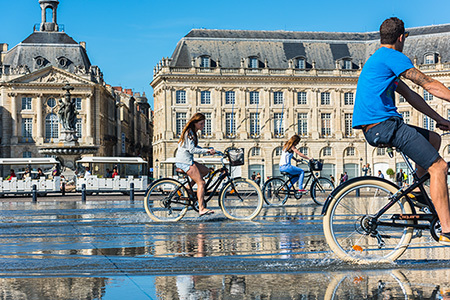 Discover and Enjoy Bordeaux listed a UNESCO World Heritage Site. Dive into the historical atmosphere of Bordeaux city and the wine region. The sleeping beauty will share with you the charm and uniqueness of Bordeaux's tasty local products. Wellkhome helps you to organize your stay, click here for more infos. 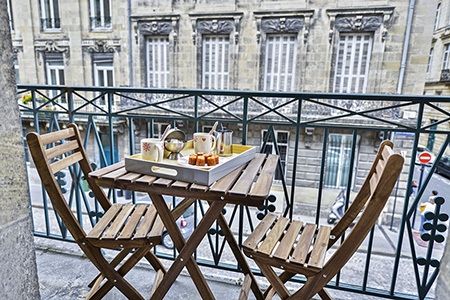 Need a short stay accommodation in Bordeaux? Wellkhome is the perfect choice for your tourism or business stays. 6 high-end apartments for short-term rentals are located in the heart of Bordeaux for your comfort. 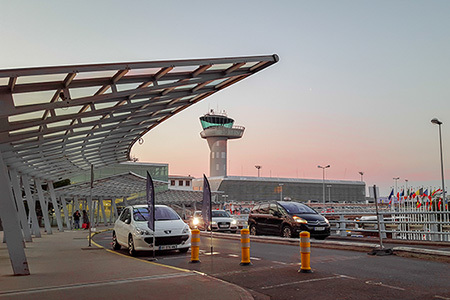 Our concierge service supports you and will be attentive to your requests: Airport transfer, Breakfasts and regional specialties delivery and much more. Need a home in the center of Bordeaux? Book it online now! For your multiple apartments and personalized booking request, contact us on +33(0)6 33 93 44 46 or by mail on reservation@wellkhome.fr.